The Magee campus of the University of Ulster plays host on Friday to the Policing Board of Northern Ireland for the launch of the PBNIs 7th Human Rights Annual Report, which assesses how the police have met human rights responsibilities across 14 key policing areas during the last year. 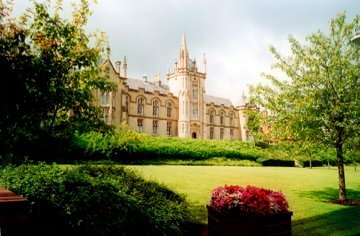 Board members, speakers and invited guests will be welcomed by the Magee Provost, Professor Deirdre Heenan. It is the first time the launch has been held outside Belfast and it is being streamed live online from 11.10am. The event’s ‘let’s talk’ format is aimed at encouraging debate and discussion on how human rights contributes to the delivery of a good policing service. You can join in the debate by going online to www.wimps.tv or send a Tweet using the tag #HRights.